Draper Expert Hi-TorqTM sockets have 6 or 12 corners with a special radius design giving added torque. With this design Draper extends the life of the socket and fastener. 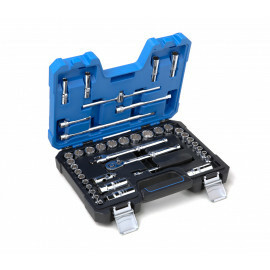 These sockets have a hole for positive ball retention in accordance with DIN 3120 specification. 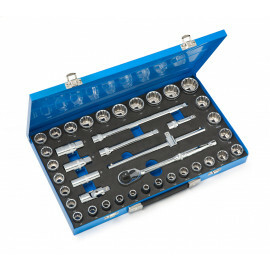 Expert quality socket set manufactured from chrome vanadium steel hardened, tempered, chrome plated and polished for corrosion protection. Packed in blow mould carrying case and display.